2. detsembril moondub üks toredatest valgusmajadest Tartu Raekoja platsil made in Aparaaditehas hubaseks pop-up poeks, et teile maagilisi jõulukinke pakkuda. Raekoja platsil oleme oma toreda valikuga kuni 10. jaanuarini, niiet tulge julgesti külla! Made in Aparaaditehas concept store will open a magical pop-up shop on December 2. 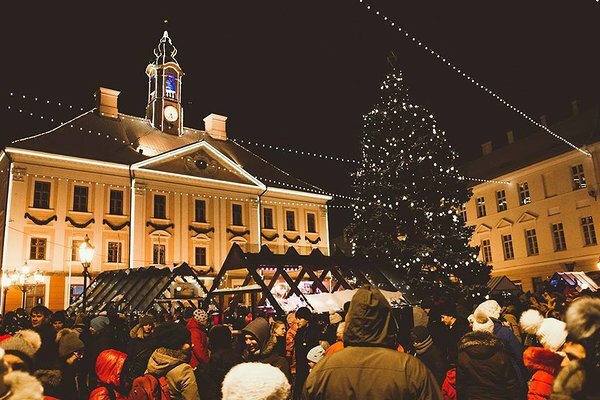 You can find our lovely booth at the Tartu Town Hall Square, next to the Christmas tree. We have a great selection of original Estonian design and art pieces. Our pop-up shop is open until 10th of January. Come and visit our booth and we will help you find a perfect Christmas gift!